Hero Varun Tej is currently busy juggling to exciting projects, Antariksham and F2. Soon after wrapping up these projects, Varun will kick-start shooting for a period love story in Appatlo Okadundevadu fame Sagar Chandra’s direction. 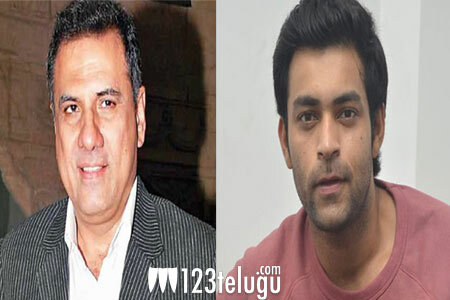 According to the latest reports, veteran Bollywood actor Boman Irani will be playing a key role in the Varun Tej-Sagar Chandra film. Boman is well-known to Telugu audiences for his powerful performances in movies like Atharintiki Dharedhi and Naa Peru Surya Naa Illu India. The Varun Tej-Sagar Chandra film is rumored to be set in two time periods – a pre-independent India and in 2018. The film’s leading lady is yet to be finalized. 14 Reels Plus banner is bankrolling the project. Stay tuned for more updates.